Content Management System (CMS) Website Development as an arrangement which enables you to handle the content of a website. Our CMS website development services will provide visual appeal, accessibility, easy navigation and seo friendly features to your new or existing website which is indispensable on the Internet today. Josoft is a CMS web development company that has developed hundreds of website solution for all the industries. Our CMS web development gives you more control over your website with an impressive representation of your business offerings. 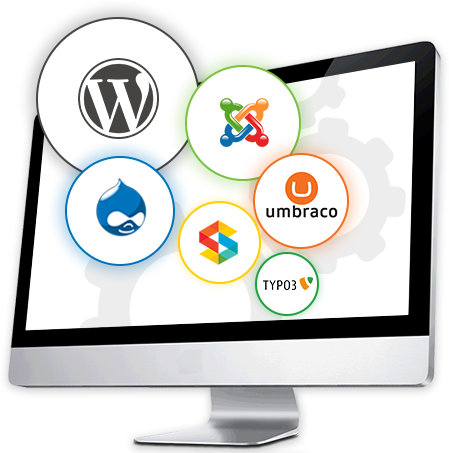 An efficient CMS development renders a healthy ecosystem of your digital database. We help you to create such a database ecosystem with a secure environment. CMS means Content Management System. The websites fitted with the CMS technology makes tasks like updating and adding images simple. Even small or large size businesses prefer CMS websites over regular ones.With a content management system (CMS), you're in control of your website. Because the design is separate from the content, it's easy for anyone to create, edit, and publish within the CMS. This means that you can publish blog posts or add a new page without the headache of learning how to code.